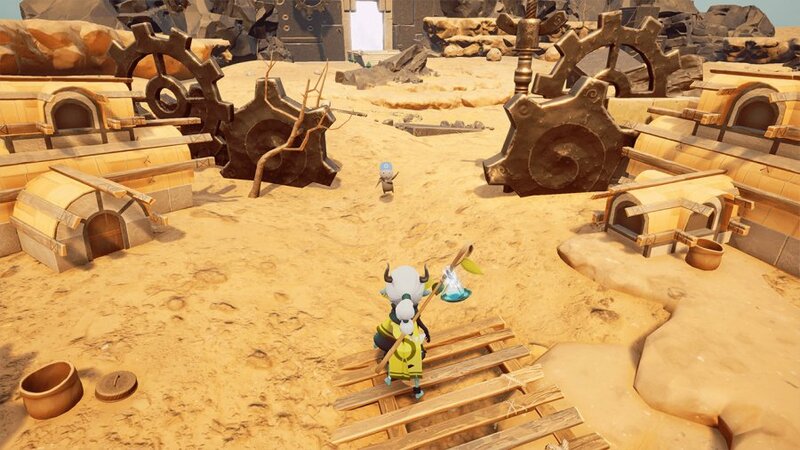 We wouldn't exactly say that the 3D platformer has experienced a complete resurgence of late, but the likes of Yooka-Laylee and Spyro: Reignited Trilogy have certainly scratched a particular itch for faithful fans of the genre. And that's not even to mention the obvious example of Super Mario Odyssey, which is arguably the finest 3D platformer ever made. Elli certainly doesn't belong in such illustrious company. It's a much more modest, unassuming, and downright flawed example of the format. But it does provide a quietly effective 3D platforming hit for those who have thoroughly exhausted the genre's most recent efforts. 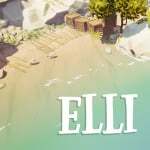 From the off, it's clear that Elli is operating from several levels below those genre champs in terms of ambition and execution. This is no free-roaming, camera-spinning, open-world extravaganza. Rather, it's closer to a fixed-camera isometric platformer with a linear path. It's more Super Mario 3D Land than Super Mario Odyssey, though without the former's wit and poise. Our titular heroine must hop and skip through a whimsical fantasy world, flipping switches, collecting keys, shuttling boxes to pressure pads (with the help of incongruous wizard characters), and executing simple door code puzzles in order to move to the next area. Along the way, you'll encounter a benign race known as the Mandragora, which are rather like blander versions of Breath of the Wild's Koroks, though a good deal less useful. Talking of Zelda, Elli's world and art style is arguably more influenced by Link's adventures than Mario's. It's all mystical runes, picturesque beaches and crumbling temples. There are even dungeons to conquer, though here they form levels within a linear adventure. Regardless of structure, Elli's world is a charming and colourful one, though perhaps a little too generic. The gameplay itself, too, is moderately entertaining without ever threatening to break through into fresh, overtly engaging territory. It's pleasant to spend time in Elli's world, tootling through its largely easy platforming challenges and light-as-air spatial puzzles. But there's none of the ingenuity or excitement of those aforementioned 3D platformer titans. It's not a completely water-tight experience, either. There are clunky cut-aways to story scenes that pull you out of the action, while an occasionally faltering frame rate similarly reminds you that you're not dealing with a top-tier title. 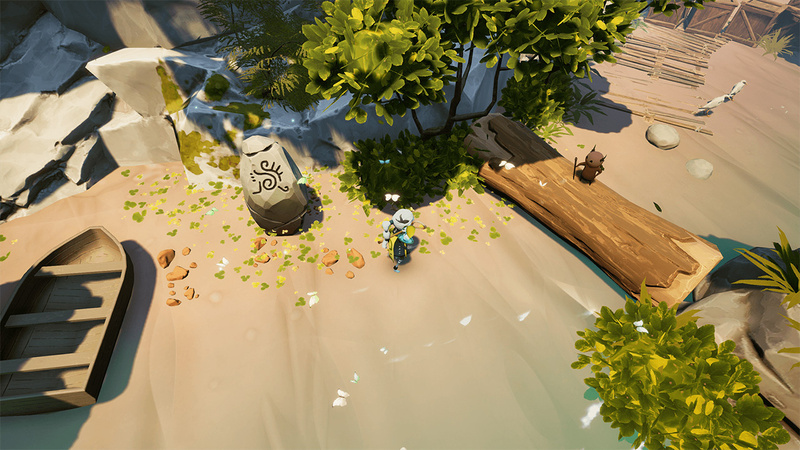 Objects that either snag or are rendered completely immaterial beneath Elli's feet hint at a game made to a tight budget. One particular invisible barrier almost stopped us from progressing through the game, requiring us to glitch our way through with an awkwardly improvised jump. While Elli herself controls reasonably well for the most part, the game's throwing system is one of the worst and least intuitive we've ever seen in this genre. It requires you to pick an item up with Y, then press X to bring up an aiming reticule. You must then rotate said reticule with the L and R buttons, and press X again to finally throw. It's a bafflingly stilted and protracted process. None of this is enough to completely break Elli. 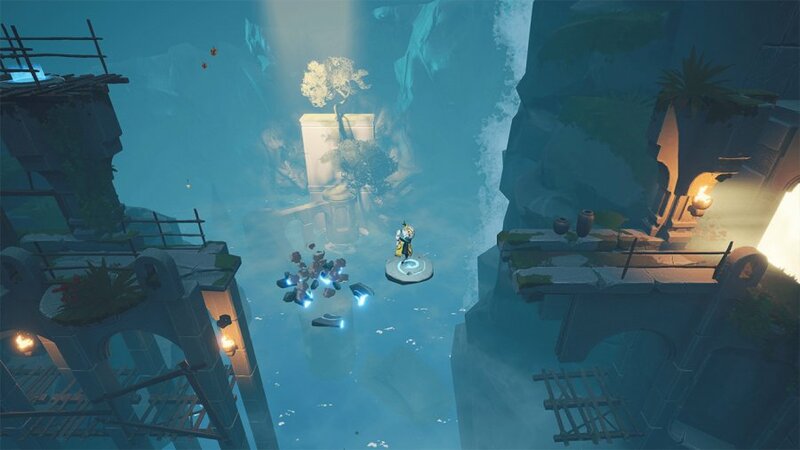 It's a fundamentally entertaining 3D platformer that will undoubtedly scratch that very particular itch that all fans of the genre get from time to time. But its virtues are subtle and understated, and they come with a bunch of glitchy caveats. Ultimately, Elli simply doesn't have the zippy gameplay, inspired level design, variety, or super-tight controls to leave you truly spellbound. But it might be a timely little snack to help tide you over until the next top-tier 3D platformer comes to Switch. How about that Super Mario 3D World port, eh Nintendo? this game has such a lovely and ethereal presentation. bummer to hear about the cookie cutter gameplay. If they drop a patch I'll pick it up. It's impressive to see Nintendo Life publish a review with a score lower than 8. And the funny thing is that this is definitely an 8 out of 10 unlike most of the garbage they rate so high. Hollow Knight!!! @harrystein Eh, you might not like Hollow Knight. Of course, it's not for everyone. But calling it garbage makes me wonder what factors you even judge games on. Certainly not much that I care about. I thought this one looked good on eshop... I may give it a try despite the score if there’s a sale. Bug fix and update and make physical and I'll be there. @aaronsullivan I judge games on Gameplay. Story means nothing. In fact, the more story, especially when you can't skip long drawn out cut scenes, the worse a game is. Games that take longer then 10 hours to 100% are usually worse. Very little replay value when there's no incentive to waste 30+ playing a game. Hence why Mario Galaxy is 100 times better then Mario Odyssey. If I was 12 I would be all over it, but being far older I would probably get bored of it fairly quickly, like it happened to me with Giana Sisters. I really like the look of it though and I hope the devs sell this well and make more nice stuff. Never once in watching the trailers did I feel like this game resembled either Mario Odyssey or Yooka Laylee, nor did it seem like a game that was trying to resemble them. Are those games really the best measuring stick to use for this game? Personally, I prefer linear 3D platformers over open world ones, and a fixed isometric view is still 10x better than a manual-only camera as long as the levels are properly designed around the given viewpoints. 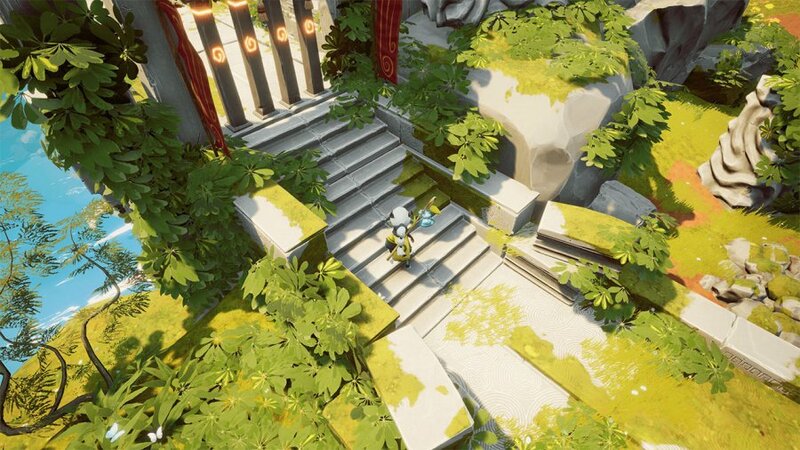 Meanwhile, that throwing system actually sounds like a creative solution to the issue of struggling to line up your character properly for 3D platforming puzzles. You can quickly adjust your aim without struggling for exact placement in 3D space, and if no adjustments are needed, it's just one extra button press. @harrystein There are some very short cinematics and certainly an overarching narrative that unfolds subtly as a player progresses through it, but the gameplay itself in Hollow Knight is the real standout. It has tight platforming and action controls and as a player builds their skill it becomes very rewarding. It has some of the most satisfying and interesting boss battles I've played, too. There are no long unskippable cinematics that I remember. Hollow Knight has its flaws. I especially think that the early parts of the game can be off-putting, partly because the motivation and story are too slight and the promise and depth of the game is not quite hinted at enough. So, it can feel a bit dull and even a bit oppressive in tone at the start. It is also on the challenging side, occasionally unforgiving, a bit too subtle in places, and could use another pass on the overall design to help the player know what is on the "core game path" and where the paths "for masochists and 100 percenters" are. Hollow Knight falls into the category of no replay value. It's way too long and there's very little incentive to play it again! Plus it's not fun getting lost so often in my favorite type if game. Me too. Just saw the trailer on YouTube and thought it looked great. Maybe they will fix the bugs and improve the game in general. Love this genre.